Brenda Teele, one of three co-hosts for WFAA8's Good Morning Texas, will be leaving the show at the end of this year. 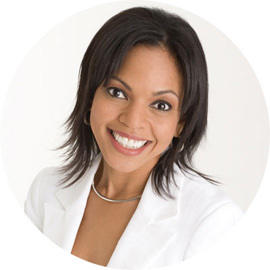 Teele, who joined WFAA8 in February 2006, said she needs to spend more time with the Dallas-based Jackson Law Firm, headed by her husband, Ray Jackson. "The company doubled in size earlier this year," Teele said in an email. "And that kind of growth will require even more of our family's collective time and energy to maximize its total growth potential." She still hopes to do some freelance reporting, Teele said. Her last day with WFAA8 and GMT is Christmas Eve. As previously reported, the station's Daybreak co-anchor, Brad Hawkins, also is departing WFAA8 on that day to take a public relations position with Southwest Airlines. Teele, a Los Angeles native, has been in the D-FW market since 1995. She started at KTVT-TV (Ch. 11) that year as a weathercaster and co-host of Positively Texas with Jody Dean. Teele remained with the CBS station until 2000 before moving to KXAS-TV (Ch. 5) to become co-anchor of its early morning newscasts. She also has worked at KKDA-FM (K104) radio. Gary Cogill and Amy Vanderoef remain with GMT, which airs at 9 a.m. weekdays on WFAA8.